Conjunction - 0° - is a circle that is divided by 1. This aspect is very active and dynamic, because it is apt to concentrate the ability to express yourself with bold actions, and self-exaggeration in many life situations. The planets in conjunction are close, almost mixed and aggravated. Conjunction often points at the strong cooperation and blending of the planets. It is a really good sign if planets are positive towards each other like Moon with Venus, but is not the best sign if the planet pair is something like Mars and Neptune, they lack of balance and compatibility. They are simply too different. The sextile 60°is a circle that is divided by 6. It is associated with fast generation of creative ideas and possibilities. Under the influence of sextile aspect an individual easily understands main life goals and makes better decisions. In some cases it demonstrates talents. It is a very balanced aspect, where the planets cooperate in a proper way, providing good influence on individual. The circle with square aspect is divided by 4. It is an aspect of limitations and breakthroughs. It is a changeable aspect because of the difficulties and their load. Negative situations are generally caused by the planets of this aspect. 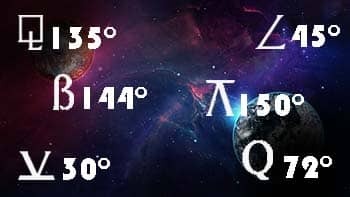 Planets in this position are absolutely opposite in everything. They have misunderstanding on many levels. The possibilities are not that easy to achieve, but proper work and consistent efforts will eventually lead to great results. 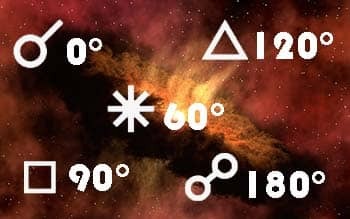 The planets in this aspect demonstrate those spheres in the life of an individual that should be corrected or at least a great attention should be paid. Important note: any corrections will be really hard to make. The circle with trine aspect is divided by 3. Trine is one of the most favorable aspects. This aspect is associated with positive energy transmission between the planets of a particular aspect, providing fortune, possibilities, and inborn creativity. However, too many positive features may result in negative consequences, because, as it happens often, the luck and talents gifted to a person by trine are taken for granted, underestimated or never used fully. In past times, this aspect was associated with idleness, because nobody believed that talents and luck can be inborn, so this aspect was rather evil then. 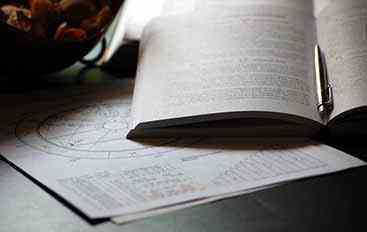 In general, it is more possible for a trine aspect to bring positive energy to the lives of people. The circle divided by 2 is called the opposition aspect in Astrology. This aspect is represented by total polarity and contrast I opinions with others in many important situations through life. This is a case when a person must either work in accordance with demands of others or break any connections with them. It creates a situation of aloofness and depression, but if person tends to keep up balance with social connections, it can be corrected. Compromise is the key that can bring two energies to the needed harmony. In other situation, instant opposition can ruin the life or make it pretty hard. Totally, this aspect is nothing about harmony. Read useful information about minor aspects. For example, Semi-sextile - really soft, almost insensible and may not matter at all. The semi-square aspect is quite opposing and brings doubt to the soul, renewing internal conflicts. Quintile - is an aspect of skills and ideas, very profitable and original.